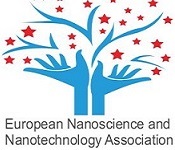 this conference is “MedTech Europe Code of Ethical Business Practice” compliant conference. Pre-conference Workshops organized by our Scientific Partner-Turacoz are learning sessions and opportunity to discuss Biosimilars and Biologics as the newest era of pharmaceutical development. This pre-conference workshop emphasize on the understanding the trends which the biosimilar markets is heading on since its launch till the present date and moving on to the projections in future. It takes into its fold the critical developmental procedures, analyses, regulatory factors and also pharmacovigilance including post marketing surveillance and clinical studies. 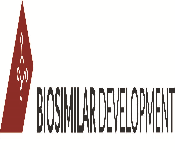 Senior Director CMC Development Momenta Pharmaceuticals, Inc.
Biosimilars 2017 is a global annual event. This Biosimilars Congress 2017 brings together scientists, researchers, business development managers, CEOs, directors, IP Attorneys, Regulatory Officials and CROs from around the world. The passage of approval for biosimilars finds much requirement for discussion also focussing the latest developments in the field of biologics and biosimilars. The development of biologics calls for overcoming many challenges. With initial steps of concepts of biologics, their considerations, essentials for early clinical developments it is very much needed that proper scientific and strategic approaches are taken for the successful development of follow-on-biologics. Moreover, the need for overcoming the challenges continues in the late clinical steps, drug safety factors and labelling requirements. Also it is much required now to develop a drug product in accordance to Quality by Design (QbD). 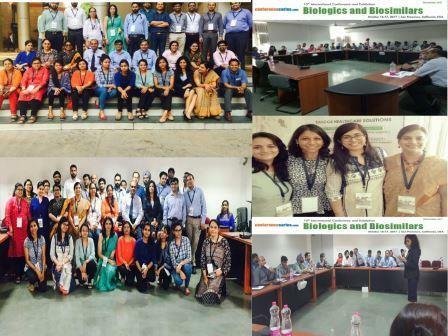 The explorations in the field of biologics have created a new avenue for the clinicians towards better disease management. The emerging biologics have already manifested fruitful outcomes in treatment of ailments like those of psoriasis, rheumatic arthritis, certain cancers, inflammatory bowel disease(IBD) etc .Emerging Biosimilar insulins are likely to enter the insulin landscape as patents for major branded insulin products start to expire in the next few years. The main theme of this track is to have sound knowledge in the emerging biosimilars like Filgrastim, Pegfilgrastim, Recombinant blood products, therapeutic proteins, vaccines, Biosimilar anti-bodies, Growth hormones, Biosimilar peptides, therapeutic proteins and other biosimilar developments and their impacts. This track discuses about the generic drugs impact on global biosimilar market and Cost and risk management, Adopting innovative mechanisms such as risk-sharing arrangement, LATAM market for biosimilars. 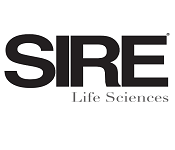 This track includes Clinical trials on major diseases Risk management, and quality affairs, Case studies, and clinical models, Transgenic animals, Targeted cell line development, PK/PD studies, Toxicological studies, ethics maintained in clinical and preclinical studies, development difficulties and Aspects of genotoxicity tests. This track is designed for those who are having sound knowledge on clinical studies and clinicians prospects for biosimilars. Biosimilar guidelines on the above mentioned topics are also to be thrown light upon at this biosimilars conference. Needless to mention differentially that any pharma product has to successfully pass through the regulatory affairs' scanners before being launched in the market , Biosimilars and biologics are no exceptions. Apart from regulatory aspects the companies developing these biosimilars and biologics tend to enjoy monopoly over their product. Intellectual Property Rights (IPR) and patents are ultimate tools to the biosimilar manufacturers for safeguarding their interests. 2016 was a record year for development of Biosimilars & biologics in US. In this year 16 IPR petition was filed. So, expected scenario of 2017 would be a boom in Biosimilar and biologics field. Pharma patent scenario, Criteria for patentability and patent claims, Patentable subject matter, biosimilar guidelines, biosimilar patent issues are key points of discussion in the segment. Patent analysts, law firms and legal authorities dealing with biosimilar regulatory affairs would find this conference a perfect platform to put forward their views on the topic. Bioequivalence focuses on the equivalence of release of the active pharmaceutical ingredient from the pharmaceutical product and its subsequent absorption into the systemic circulation. This also includes Strategies for the bioequivalence assessment of topical dosage forms, Bioequivalence assessment of respiratory dosage forms, Bioequivalence approaches for transdermal dosage forms, stastical criteria for establishing biosimilarity and interchangeability of follow on-biologics. It also highlights the scientific issues & considerations regarding the assessment of Biosimilars and biologics, exposure and response of bioequivalence assessment to support the release of Biosimilars to the market. Biopharmaceutics Classification System and invitro and invivo classification discusses about ADME pathways of different drugs. This also includes BCS biowaivers, In vitro diffusion cells for dissolution testing in formulation development, In vitro preclinical ADME/BCS testing. 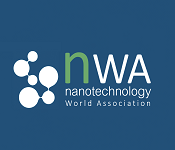 The objective of this work was to suggest the biowaivers potential of biopharmaceutical classification system which are known to increase the solubility, dissolution, oral absorption of water insoluble drugs. 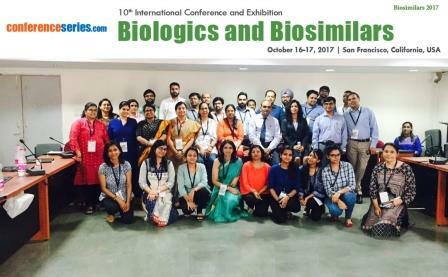 The Biosimilars Congress 2017 aims at addressing all such challenges of the pharma formulation sector for biobetters, biologics, biosimilars and biowaivers. Excellences in the field of drug development, drug design, biotechnology, Biopharmaceutics will find their place in this track. 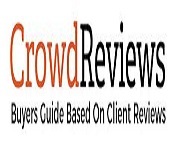 This track is concentrated towards the different reviews and forecasts regarding the scenario of Biosimilars market and follow on Biologics. The present status and future scenario of the market are best to be discussed during this session. 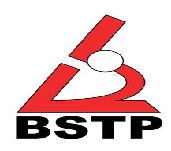 Market researches from the first launching of biosimilar to the newest one till date prospects for a radical change in the pharmaceutical market. 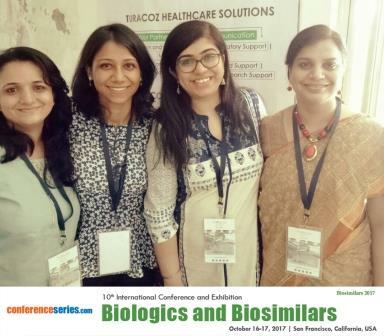 Market researchers, market analysts, industrialists would be the apt participants for this session at Biosimilars 2017. This session of the Biosimilars 2017 looks into the future and FDA initiatives that have already been announced to include enhanced tracking and follow-up of post market issues, planned improvements in AERS, and pilots of new post market drug-monitoring strategies. Current challenges in pharmacovigilance, Adverse drug reactions with pharmaceutical products, Biosimilar guidelines for pharmacovigilance practice and pharmacoepidemiology are the points that shall be laid emphasis in this session. The Brexit effect on Biosimilars tends to be negative. Not only it would be a major setback towards approval and launch of biosimilars to the market but also be hindrance towards the cost cutting approach taken up by NHS.With Britain being among principal clinical trial centers is owned to see a decrease in the willingness of the manufacturers and researchers to carry out any further trials in Britain. Also Brexit will cause the principal motive of Bristish Biosimilars Association(BBA) to fall back- which aimed at increasing the use of Biosimilars. 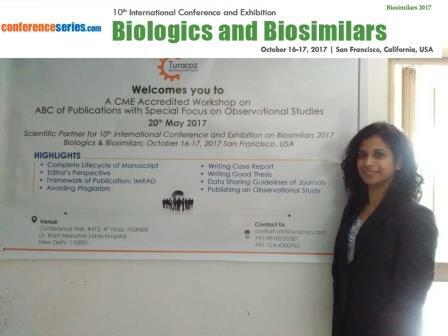 Biosimilars 2017 focuses upon “Innovative and strategic approach for uptake of Biosimilars in the market”. This biologics meeting focuses on the trends which the biosimilar markets is heading on since its launch till the present date and moving on to the projections in future. 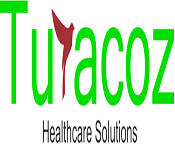 It takes into its fold the critical developmental procedures, analyses, regulatory factors and also pharmacovigilance including post marketing surveillance and clinical studies. Innovation and compliance to regulatory guidelines are the most critical aspects towards biosimilars and follow on biologics development and successful launching to the market. Pre-conference Workshops are organized by our Scientific Partner-Turacoz and are quality learning sessions and opportunity to discuss in brief on Biosimilars and Biologics - the newest buzz in pharmaceutical development. Thess pre-conference workshops emphasize on the understanding the trends which the biosimilar markets is heading on since its launch till the present date and moving on to the projections in future. It takes into its fold the critical developmental procedures, analyses, regulatory factors and also pharmacovigilance including post marketing surveillance and clinical studies. The 10th International Conference and Exhibition on Biologics and Biosimilars will provide an opportunity to hear and meet Researchers, Practitioners, Students, Clinicians, and Business Professionals to share expertise, foster collaborations and assess rising innovations across the world. This will be equally informative for participants who attend this meeting as well as a for key opinion leaders who want to brush up on their knowledge outside their own area of specialization. In association with Turacoz Ltd. we look forward towards arranging a great Biosimilars and biologics expert networking meet and knowledge exchange sessions at USA this October. For more details contact Kiara Dcruize at [email protected]. At 2021 the global market of biosimilars is envisage to reach USD 10.90 Billion. Previously it was USD 3.39 Billion in 2016. 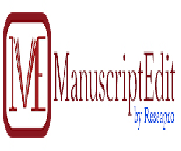 From 2015 to 2020 the global biosimlar market expected to reach CAGR of 49.1%. This opinion covers knowledge on biosimilars that are prepared for market purpose in obedience with the European Medical Association, U.S. FDA and other regulatory authorities. Extreme factors behind this growth are escalating requirement for bio similar drugs because of their worthwhileness, increasing old aged people, pressure to lessen the spending’s on health care, and high expenditure on biologics. Segments: Oncology, auto immune diseases, infectious diseases, diabetes mellitus, glycoprotein hormone diseases, endocrine disorders and other some other applications are segments of biosimilars. By considering this all of this oncology is envisage to reach most CAGR during further period. Regions: According to region, biosimilars can be divided into North America Europe, and Asia. 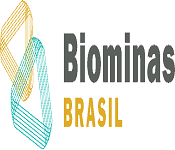 Important members of the market of biosimilars comprise Hospira, Amgen, Teva, Sandoz International GMBH, Dr. Reddy’s Lab., Biocon, Celltrion, Catalent, Mylan and Merck. Over the previous several years, biologics have improved momentous traction in the pharmaceutical industry, illustrating beyond $150 billion in global sales in 2013. And hope to generate $290 billion in revenue constitute 27% of the pharmaceutical market by 2020. 48% of sales arrive from 11 biologics that aspect loss of individuality. Analysts envisage the worldwide market of biosimilars by 2020 to grasp $25-$35 billion. Since the biosimilars approval in the EU in 2006, there are at present more than 700 biosimilars accepted world widely. In dominant markets like the European Union, regulators and payers have perceived the probable financial asset of biosimilars over the mentioned products. In the U.S alone, the cost preserving from diverting to biosimilars are expected to be between $40v and $250 billion over the following 10 years, with the 1st biosimilars to shot the US market project about $5-7billion in preserving. Biological drugs consists similar clinical properties in points of assurance, capability, efficacy, and pureness by analyzed to the authentic biologic drug. Global market of biosimilars is predicted to developed at their rapid pace as blockbuster biologics are accessing patent termination; and thus , and construct enormous potential for the comparable biological medicinal products. The U.S. and APAC markets present beneficial growth opportunities for the related biological medicinal products industry, which is predicted to develop at a momentous rate in the coming years. Brand name biologic are as worth as about $100,000 per patient. Biosimilars on the contrary can be afford at a 30-40% curtailed than that of the brand name product. However considering all the achieving stories and opportunities there also lies a significant 50% failure rate in progressing and achieving towards marketing of biosimilars. The U.S. holds the biggest share of the global biologics market value and produces half of the share value advancement as well. The European Union accounts for 22% of the sales on market value and 14% of its value growth. In contrast, arriving markets perform just a silver of the sales pie, which contains 7.5% share. Thus, biologics market advancement is still broadly consumed by sophisticated markets. 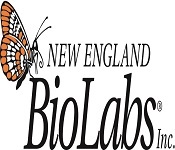 The global biologics market had attains $170 billion in sales figure in 2012, occupying 18% of the overall market. The 5 top 10 global products in terms of sales volume are biologic’s; on 2008 it was two only. Roughly twenty percent of the biologics and biosimilars in the global R&D pipelines are facing challenges to fall in line with the regulatory instructions. This term of the Biosimilars will look into the forth coming days and FDA drive that have already been declared to having enlarged tracking and follow-up of post marketing examination problems, prepared improvements in AERS, and pilots of new post market drug-monitoring action and ADR relavant problems. Biosimilar instructions for pharmacovigilance practice and pharmacoepidemiology are the marks that shall be grab attention in this session. The global Biosimilars market is envisage to reach $26.5Billion by 2020 increasing at a CAGR of 49.1% from 2015 to 2020 whereas The global biosimilars market alone is nearly to reach $6.22 Billion by 2020 from $2.29 Billion in 2015, at a compound annual growth rate (CAGR) of 22.1% from 2015 to 2020. The global biosimilars market is influenced by Europe, pursued by Asia-Pacific, Rest of the World (Row), and North America. However, the Asia-Pacific region is likely to witness the highest growth rate during the projection period. The global biosimilar market is increasing at an epidemic rate. The CAGR from 2015 to 2020 is predicted at over 22%. The biosimilar market is habitual to be around $6.2 billion by 2020 from only $2.3 billion in 2015. By the end of this decade the biosimilar would confidently cover 27% of the total pharmaceutical market. Moreover, with the global rise in concern for more accessible-developed- cost friendly healthcare, biosimilar drugs would be a relevant choice to the payers, end users, manufacturers over the valuable reference biologics.